OmniSys is built on the passion that you are what you believe you are. Having established a successful, well run IT company with a great reputation, OmniSys is ready to bring the business to a new level, create a platform for stable, ambitious, long-term success, built around a very particular culture which reflects the values of the founders. This culture will inspire and provide future direction for all stakeholders connected with OmniSys. At the heart of this transition, is a passion to bring Irish and some overseas companies independent, sincere, realistic and practical technology advice and implementation services. This is driven by innovation, adaptability and the expertise to identify the best balance of physical and virtual solutions for clients from situation to situation. It is important to OmniSys through their capabilities to be instrumental in helping others to achieve their vision. 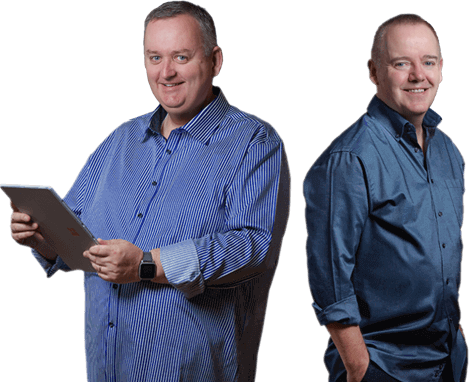 As the individuals who run OmniSys, Colin and Colm will spearhead this development as Managing Director and Chief Technical Officer, providing leadership and mentoring to an excellent, well structured, team of experts. To best serve OmniSys, Colin and Colm will move away from the day-to-day, hands-on technical work, to focus on high level sales and business development, and constantly maintaining the company culture and vision. Along with this, they will evolve their own ‘personal brand’ so that they are clearly positioned more as visionary business owners, rather than technical experts who also happen to run a business. Relationship building is of prime importance to the OmniSys vision. This begins with the existing team, and extends to everyone who joins the company in the future, as well as clients and partner companies. Collaborations with other IT companies are key to the future direction of OmniSys, and there will be an on-going investment in identifying these companies and the strategies that will make collaborations mutually successful. Our company is the biggest of it’s kind in Ireland. We service the farming industry, which is no respecter of time and there are no holidays. OmniSys have always taken absolute ownership of our technology needs and are truly are there for us 24/7 with a beyond the call of duty service when we need it. We have a sizeable sales, service and support team who spend a lot of time on the road nationally. The stability provided by the team in OmniSys is essential to how we maintain our extremely high standards of customer support. As proud long term colleagues with OmniSys, they have been crucial partners to the growth of our company for over 15 years, helping us service a large international customer base.